Run around grabbing all the symbols and free running around the top of the city. Master the moves. 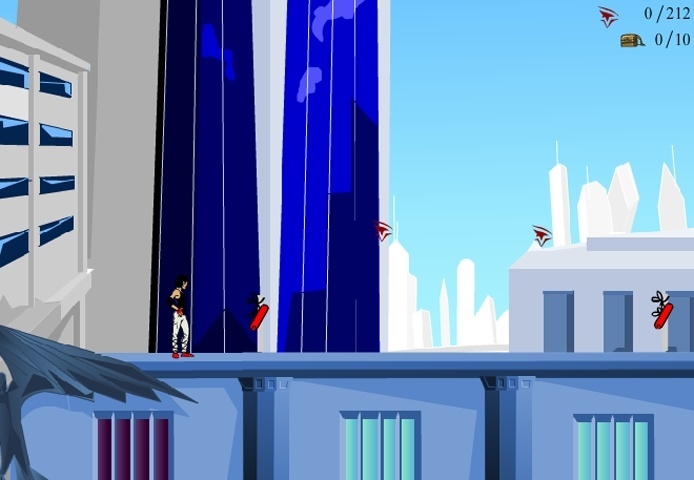 This is the 2D flash version of the great city runner game Mirrors Edge. Use your arrow keys and S to run, jump, climb the walls and to cling on ropes. Left / Right Arrow Keys - Move.Down Arrow Key - Drop. If you want to play Mirrors Edge 2D games online you have come to the right place! GamesLoon adds new Mirrors Edge 2D games every week. This is your game portal where you can find the biggest collection of free Mirrors Edge 2D games online. Do not forget to rate our Mirrors Edge 2D free online games while playing!